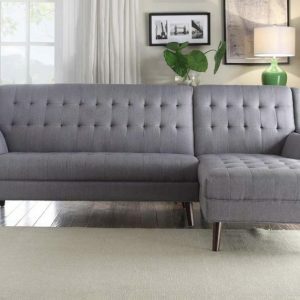 Sit back and get comfy on this grey velvet Graham three-piece sectional sofa. 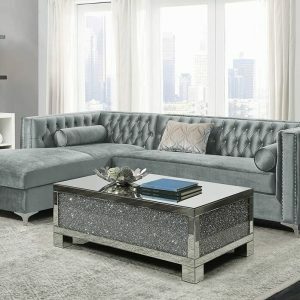 Plush grey velvet with a channel tufted back creates a contemporary display that is sure to be the focal point of your living room. 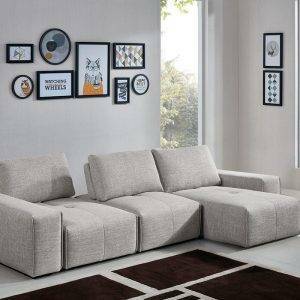 This double chaise sectional features an inner width of 25 inches and outer width of 32 inches, with a width of 67 inches between both chaises, offering ample space for you and your loved ones to cuddle up and watch a movie after a long day. This sectional comes with complete sets of gold and chrome legs, so you can customize it to suit your existing décor.